Heading into Thursday night's game with the New Orleans Saints, the Dallas Cowboys offense has struggled in the red zone and in particular inside the 10 yard line. 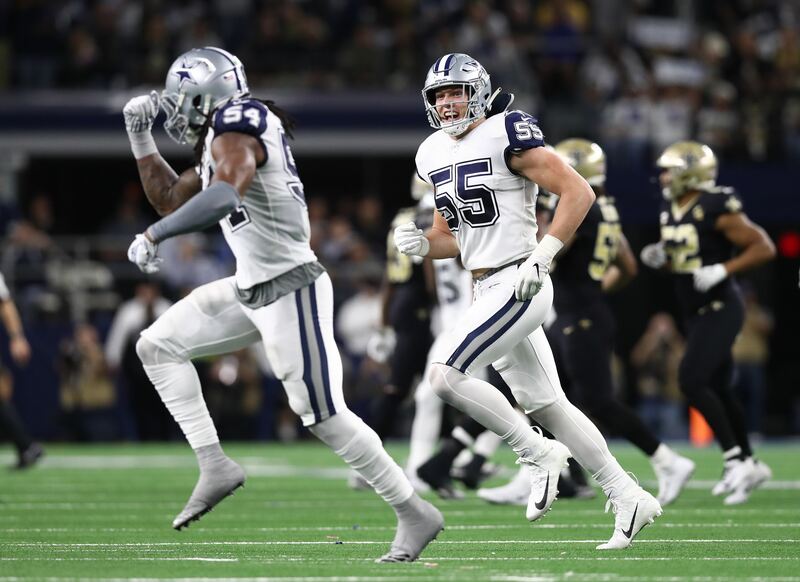 Last night against a very explosive offense, the Dallas Cowboys were doing a great job at moving the ball and playing keep away from the Saints offense, but once they got inside the red zone, found it difficult to come away with touchdowns. It's an issue that has reared its ugly head all season, but would have been a huge talking point had the Cowboys lost on Thursday Night Football. You see, the Cowboys had four drives that got them in the red zone against the Saints and were only able to come away with seven points one time. They kicked field goals on two of their other attempts (once when they had 1st and goal at the six), and Dak Prescott fumbled on their second to last drive when they were attempting to seal the game. Obviously some credit goes to the New Orleans Saints defense, they contained what the Cowboys wanted to do in the scoring areas, but a lot of the blame falls on the play calling, the offensive line, and your quarterback. On the Cowboys first drive of the game, they were moving the ball well and had just hit Michael Gallup for 40 yards to get them to the New Orleans Saints six yard line. They had first and goal from the six and from there netted -2 yards of offense. They handed the ball to Ezekiel Elliott for a gain of one and after an incompletion to Dalton Schultz -- don't get me started on their TE usage -- Dak Prescott was sacked for a loss of three yards forcing a Brett Maher field goal. On the sack, Amari Cooper was doubled, which took away Dak's first look, but Scott Linehan had Cole Beasley running a short comeback. That's it? Cole Beasley's strength is in his lateral change of direction ability. At least run him on a route that’s going to allow him to beat his man with his quickness. Don’t ask Cole Beasley to box out his defender. Beasley may not have a lot of size, but he's an excellent red zone weapon because of his ability to get open in confined spaces. Getting a lead is great, but when you kick field goals after getting first and goal from the six against an elite offense like the Saints, you're more than likely to lose. Field goals don't win you football games very often in the modern NFL. On the Cowboys second venture into the red zone, they had first and 10 at the 20. After an Eli Apple defensive holding call, they had first and 10 at the 15. 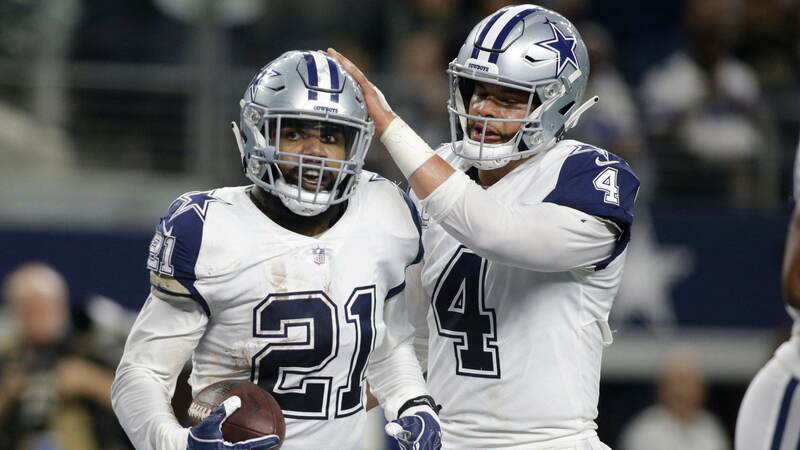 Rod Smith carried the ball for a loss of one and then on second down, Dak Prescott found Ezekiel Elliott on the screen for a 16 yard catch and run for a touchdown to give the Cowboys a 10 point lead. I'm not a huge fan of Rod Smith the runner. I think he offers more as a receiver, because when he tries to run wide, it typically ends in a loss. On the Cowboys next trip into the red zone, the Cowboys had third and seven from the Saints 17 and Prescott is sacked for a loss of seven and the Cowboys have to settle again for a field goal after an excellent drive that started at the Dallas Cowboys two yard line. On the second to last drive, the Cowboys started with the ball at their own 20 yard line with 9:15 seconds left on the clock. They proceeded to go on a 15 play, 85 yard drive that took 6:33 off the clock before Dak Prescott was sacked and fumbled giving the Saints the ball at the New Orleans 15 yard line. Again, on that drive, the Cowboys had the ball first and 10 at the 11 yard line. This is a situation at a time in the game where you have to come away with seven points to finish off what many people considered the best team in the NFL. When they had it first and 10 at the 11, they only ran Elliott one time and then elected to throw it twice. The second down throw was a smart play. A quick little tunnel screen to Michael Gallup who picked up four yards to make it a more manageable third down. Third down would have been a great time for an RPO or quick play action to make the defensive line hesitate even a bit before getting to completely focus on Dak Prescott. Instead, Prescott was sacked and fumbled the ball to again kill a red zone opportunity, but this time he fumbled and turned it over to the Saints. Thursday night they only used play action six times. When they used it, Dak was perfect going 6/6 for 92 yards and a touchdown. 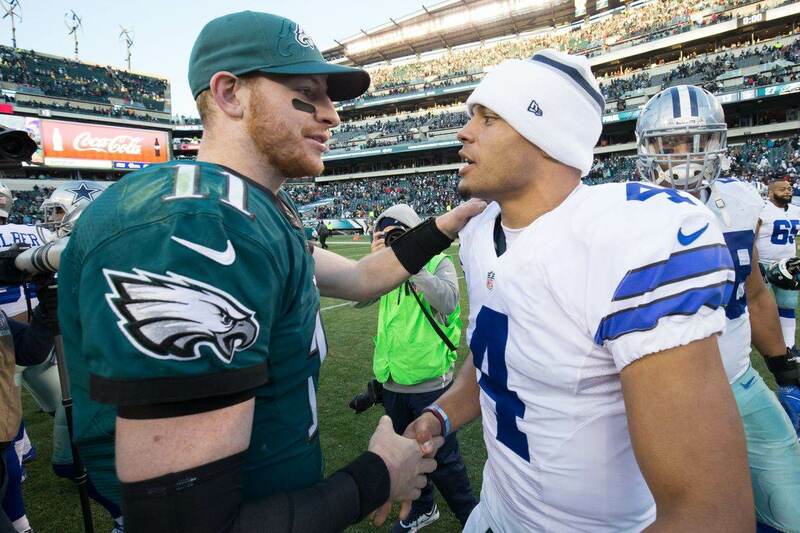 The Dallas Cowboys are on a trajectory to make the playoffs in 2018 and if they want to make some noise once they get there, they have to be a better red zone team. On the season they are sitting at 27th in the NFL in red zone percentage at 48.6%. They just came off a huge win, which could have been better if they were able to capitalize in the red zone at a higher frequency. 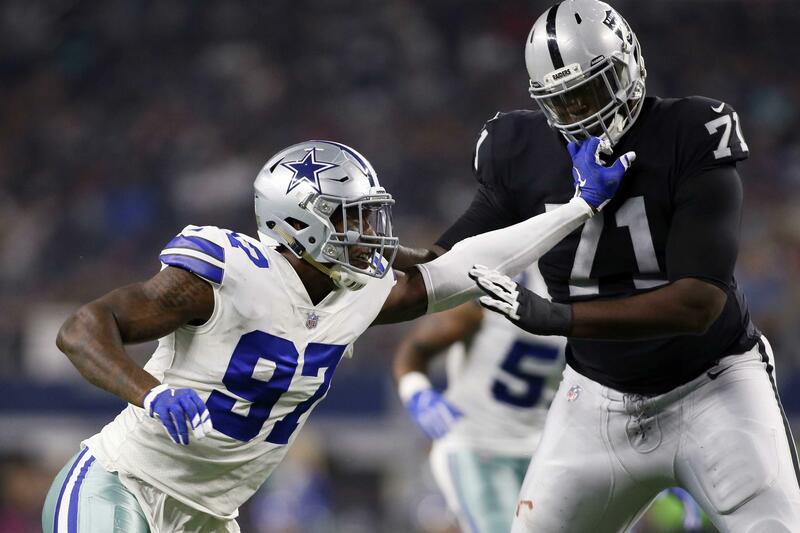 The Cowboys are now serious contenders in the NFC, but to get to the Super Bowl and bring home their sixth Lombardi Trophy, they have to be better in the red zone. In the playoffs, field goals won’t cut it.